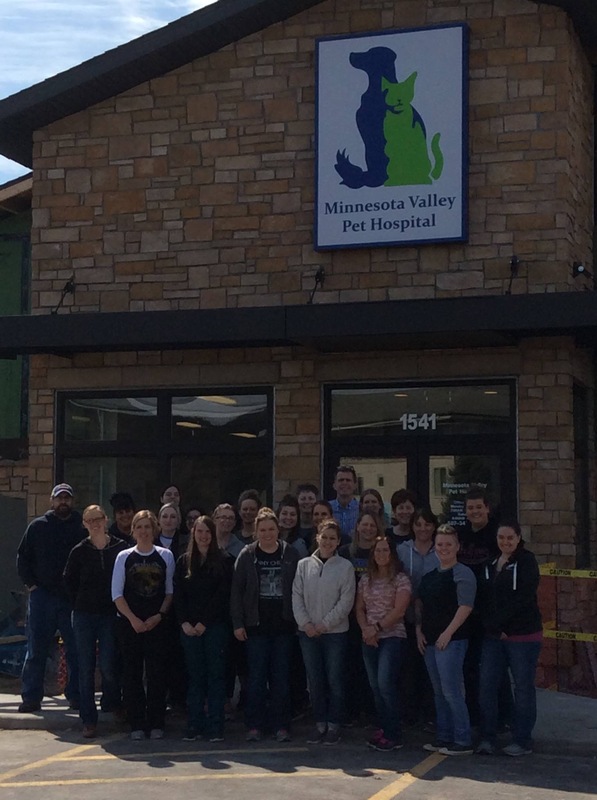 Our goal at the Minnesota Valley Pet Hospital is to exceed your expectations! We strive to provide you and your pet with the highest quality veterinary care in a warm, caring, and safe environment. 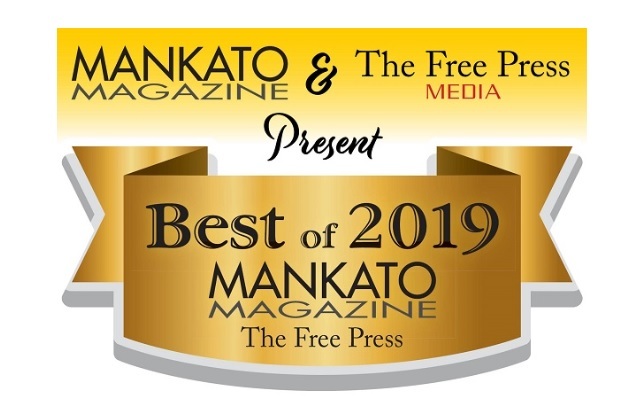 Thank you to our our clients who have voted us Best Veterinary Hospital in Mankato for 4 years in a row. The Minnesota Valley Pet Hospital is a full service veterinary medical facility located in Mankato, MN. Our professional and courteous staff seeks to provide the best possible medical, surgical, and dental care for our patients. We are committed to promoting responsible pet ownership, preventive health care and health related education for our clients and their pets. 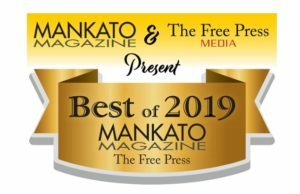 We strive to offer excellence in veterinary care to Mankato and the surrounding communities. Originally founded as the Boerboom Pet Hospital we have proudly served the area since 1971. 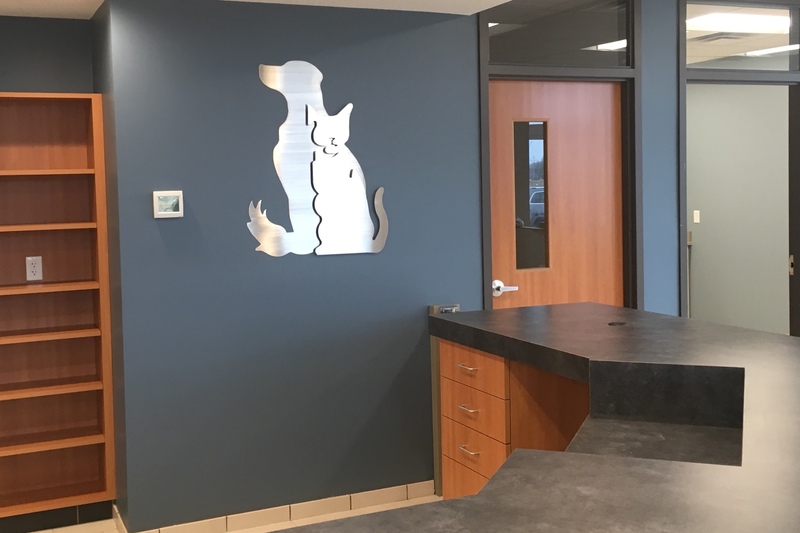 Please feel free to contact us to find out more about our hospital, our services, and how we can serve the needs of you and your pet. 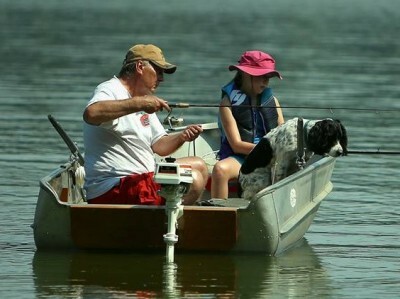 Our doctors have over 75 years of cumulative veterinary experience. We now offer this new high tech treatment option for many common conditions. [ Read More ] about laser therapy. Do you remember our logo? This was in use from the mid 90’s to April 2013 when we launched our new website and changed over to our new logo with updated color scheme. We will be closed for moving on Monday April 15th. We are excited to have our clients and patients visit us in our wonderful new facility! They’re putting in more finishing touches every day! Check out our Facebook page for regular updates! 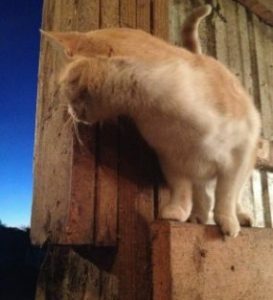 We LOVE weight loss success stories, read about Archie below. If you have weight concerns about your own pet contact Sarah, our nutrition and weight loss consultant. 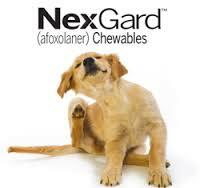 NexGard is now available. This is a once a month oral flea and tick preventative for dogs. If you don’t like using the topical preparations ask us about this new option! Spring and summer see the return of our old friends fleas and ticks. 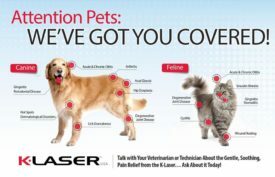 If you have had fleas once you would probably prefer not to have them back again (just like some relatives). You can never let your guard down in regards to parasites. Intestinal parasites can be picked up any time of the year. Parasite prevention, flea and tick preventatives and up to date vaccinations for visits to the dog park or commingling with others is always important. If you have questions or to check on your pet’s vaccination status, just give us a call. We are often asked how well dogs recover after reconstructive knee surgery. Here is a picture of Annie 18 months after the first and 12 months after the second surgery for ruptured ACL ligaments in her knees. 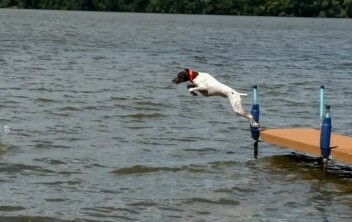 As you can see she is back to full enjoyment of the lake life. Dedicated to our recently passed companions. Do you like following blogs on the internet?Are you looking for a good pet blog to follow? There are many excellent blogs being published these days. 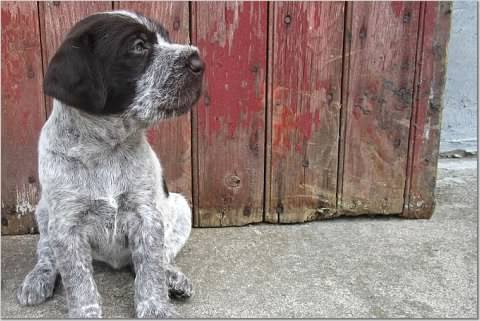 Follow and individual or a representative of your favorite breed. But remember, the information included in these may reflect the author’s bias and personal opinion. As always with the internet……reader beware! Rodenticides(mouse poisons) are highly toxic to pets—if ingested, the results could be fatal. If you must use these products, do so with extreme caution and put them in places inaccessible to your pets. Brodifacoum – an anticoagulant the has an antidote available. Bromethalin – a neurotoxin that has NO available antidote. If you pet has gotten into a mouse poison, call immediately and have the packaging available for the doctor. If you use mouse poisons, know what you are using and keep the package available just in case. 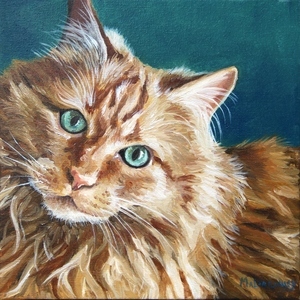 Local artist paints wonderful vibrant paintings of pets from photos. 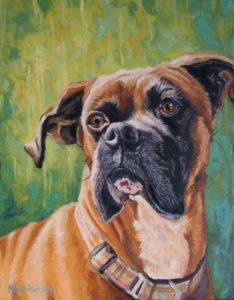 A great gift idea or as a memorial to a loyal friend. Follow the link to her website. 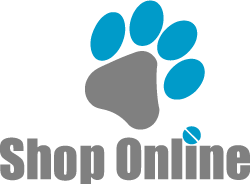 If you are thinking of ordering your pets medications from an on-line pharmacy, please consider using the link below to My VetStore Online Pharmacy. 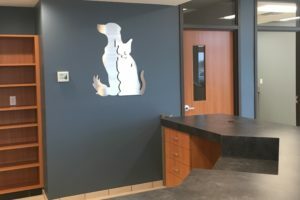 This is a veterinarian run pharmacy in conjunction with the Midwest Veterinary Supply, a reputable national distributor. In contrast to other on-line vendors, because it is veterinary run all manufactures guarantees of quality, safety and effectiveness remain in effect. When ordering from My VetStore Online Pharmacy you can be assured that the product you receive is the product you ordered and not a counterfeit or overseas knock-off that may not be safe or effective. 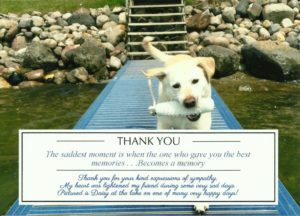 We received this lovely card from a client who lost their companion. Pictures and memories like this one never fail to brighten our day. 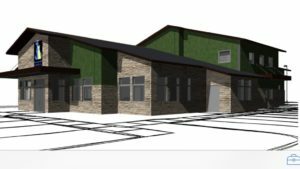 © 2019 MN Valley Pet Hospital. All Rights Reserved.